Practice your skating skills at Moon Games with Dancing on Ice Slot! A creation of Gaming Realms, it is a 5-reel, 20-payline game revolving around ice skating. Dance like a star on this beautifully designed game, set against a sparkling backdrop. 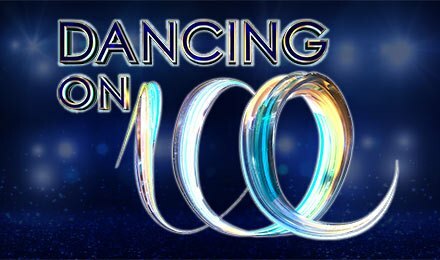 The reels are enclosed within an equally sparkling frame, filled with symbols like the Dancing on Ice Logo, Ice Skates, Two Silhouetted Dance Moves, A, K, Q, J and 10. The more dangerous your dance moves are, the higher are your rewards! Launch this superb slot on any device at Moon Games. Groove to the catchy beats while enjoying Dancing on Ice Slot! But first, choose a stake amount of your choice on the Stake field. You can now press the Spin button to enjoy the game. With 3 or more identical symbols on a winning line, you can trigger a win. An Auto Play option is also available for you to pick a number of automatic spins which do not require any manual intervention. Bet Levels: No bet levels are provided on Dancing on Ice Slot. Amount of Paylines Selection: All 20 lines are fixed and do not need to be adjusted. Coin Values: Pick a bet value ranging from £0.20 to £50.00. You must have noticed the Wild icons on Dancing on Ice Slot! As their name suggests, they substitute for any symbol in winning combos, apart from Bonus. They also double any line win. With 5 wilds on a payline, you can expect a prize of 1000x your line bet. However, you can win bigger with the doubling wild feature which doubles your prize. Plus, land 4 red dancers or game logos together with a Wild to win the top fixed jackpot. 16 spins and a 2x multiplier. 8 spins and a 4x multiplier. 4 spins and an 8x multiplier. All the spins during the Free Spins Bonus round on Dancing on Ice Slot generate a guaranteed win. The choice is yours! You can either go for more spins but less multipliers or higher multipliers with less spins. The advantage on this game is that you can decide which bonus offers the best value for your money. During this round, you can aim for a top prize of 1000x your stake! Get ready for some music and dance on Dancing on Ice Slot at Moon Games where the finest slots are awaiting you. Wish you good luck!